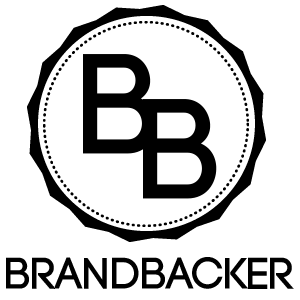 Teenagers, Inc of Chestnut Hill is sponsoring the region’s favorite Halloween tradition – The Annual Ghost Walk on Saturday, October 29th at 6:30pm. 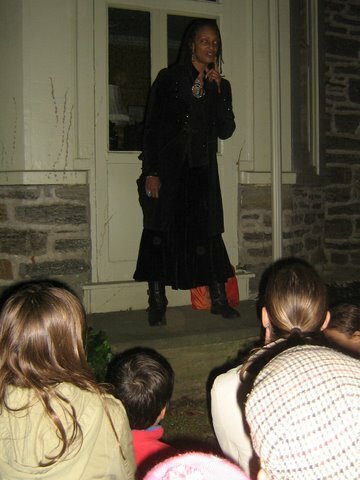 In its 16th year, the Ghost Walk features live storytellers at various locations in Chestnut Hill. Featured storytellers include Vernyce Dannells, Claudia Lees, Loretta Lucy Miller and Denise Valentine who have amazing and fascinating storytelling backgrounds. 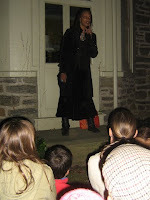 Each will haunt guests with their scary, but child-friendly, tales amidst dark locations in Chestnut Hill such as the grounds of St.Paul’s Episcopal Church, Chestnut Hill Library, and various historic (potentially haunted) houses of Chestnut Hill. Eerie tales by the storytellers will include some Chestnut Hill ghosts, unusual spirit activity as well as spirits roaming in families’ histories. The first Ghost Tour leaves the side Library entrance at 6:30 and tours continue on the ½ hour till 8pm. Costumed guides will wind tours through the luminary-lit back alleys and streets of Chestnut Hill. Inside the Library there will be a feature showing of Chestnut Hill’s haunted house, Balleroy, owned by the Easby family from America’s Most Haunted Houses. Tours depart from the Chestnut Hill Library; 8711 Germantown Ave., Chestnut Hill, PA 19118. When guests return to the Library they can enjoy cookies, pretzels and cider as well as face-painting and treats for all children dressed in costume. All ages are welcome to this event! Adults(12+) are $8. and children are $5.(6-11). A full Chestnut Hill treat would be to dine in one of the many restaurants. Check out www.chestnuthillpa.org. Advance tickets for a particular time will be sold at Sovereign Bank at 8623 Germantown Ave. or the Welcome Center of the Chestnut Hill Business Association at 8426 Germantown Ave.
Teenagers, Inc. is a non-profit group for young adults in Chestnut Hill and the surrounding communities. They sponsor social, educational and service opportunities and host a Teen Center for recreational gatherings, meetings, art classes and to provide a safe gathering place for teens and pre-teens. Teens Inc. works to foster volunteerism in near and greater neighborhood and world through service outreach. offer volunteer opportunities for teenagers who are often volunteering at community events in Northwest Philadelphia. Contact Teenagers,Inc at 215-242-4976 or Mdwyer325@aol.com or get tickets through PayPal at www.teensincphilly.org.